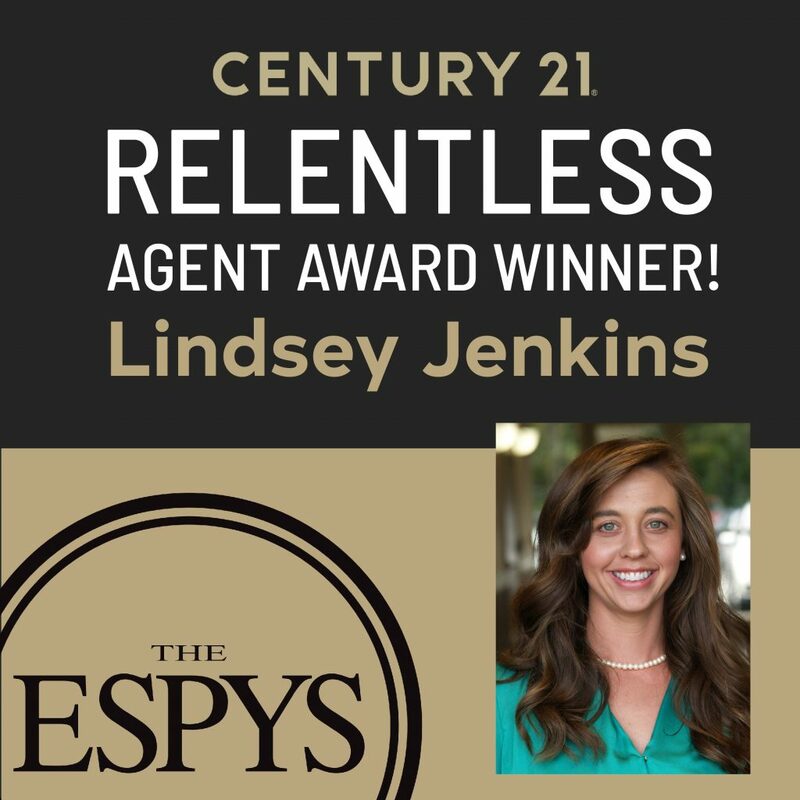 Lindsey Jenkins Receives Relentless Agent Award from CENTURY 21! CENTURY 21‘s CEO, Nick Bailey, announced yesterday that our very own Lindsey Jenkins of CENTURY 21 Sweyer & Associates is one of six recipients to receive the first-ever Relentless Agent Award. This award is given to agents who have gone above and beyond for their clients, delivering an extraordinary experience, and showcasing why Century 21 real estate is the best place for anyone to buy or sell a home. CENTURY 21 decided to go on a mission to find the best stories of how CENTURY 21 agents were relentless and award them for it. And with that, the Relentless Agent Awards were born. For the first round of the Relentless Agent Awards, the winners each have their own amazing story of how they were relentless and didn’t stop delivering great service. CENTURY 21 narrowed down the list of thousands to just six agents who defied mediocrity and elevated their business to the next level. To celebrate these accomplishments, these winners are getting the celebrity treatment, packing up their bags, and heading to the ESPY’s in Los Angeles! The ESPYs will air Wednesday, July 18th at 8pm on ABC. Congratulations to Lindsey Jenkins on this fantastic accomplishment!